Diabetes is at epidemic proportions across the globe and most people know someone living with this condition. The serious physical and mental health complications associated with all types of diabetes however, are less widely known. Here are things you may not know about diabetes. If you live with diabetes you will know that it is not just about sugar. Most people associate diabetes with the sweet stuff, but it is far more complicated than that. Many people experience significant impact on their social and emotional wellbeing. There are three basic types – type 1 diabetes, type 2 diabetes and gestational diabetes (pregnancy diabetes). They have similar problems in relation to lack of insulin, but have different causes and management regimes. Type 2 diabetes never turns into type 1 diabetes, but many people with type 2 diabetes will eventually need some insulin injections to manage due to the progressive nature of the condition. In type 1 diabetes the pancreas does not make insulin at all because the cells that produce insulin have been destroyed by the body’s own immune system. While we are getting closer, we still don’t understand why this happens, but some kind of trigger sets of an autoimmune attack. It is usually diagnosed in people under 40, but can occur at any age. Insulin acts as a key to open the blood cells and release glucose from your food into your brain, muscles and organs, where it is needed to live. For people with type 1 diabetes insulin must be replaced in order to survive. Type 2 is the most common form of diabetes, with around 85-90% of all people having type 2. In type 2 diabetes, the pancreas still makes some insulin, but this reduces over time. The other problem is that insulin in people with type 2 diabetes does not work effectively due to insulin resistance. There is a strong genetic link and this risk is increased when there are also lifestyle factors, such as high blood pressure, being overweight or obese, not being active enough, eating an unhealthy diet and having the classic ‘apple shape’ body where extra weight is carried around the waist. Other risk factors include specific cultural groups being at higher risk, being over 40 and spending a lot of time sitting and not enough time moving. It is not true that people with type 2 diabetes caused their own disease and nobody should ever be blamed or feels guilty about having diabetes. Depending on the type of diabetes, people with diabetes must carry out daily self-management tasks such as finger pricks several times a day to check blood glucose, counting carbohydrates in every meal, taking multiple injections and medications, or wearing and managing an insulin pump. The risks of not maintaining tight control of blood glucose include blindness, kidney failure, stroke, heart attack and nerve damage. Exercise, stress, food and hormones, are just a few of the things that can wreak havoc with blood glucose when your body does not have a functioning pancreas. It can be extremely difficult to maintain and often unpredictable, isolating and frightening. This story was published in Newswatch Times on December 12, 2015. Experts have faulted Nigeria’s legal enforcement/regulatory mechanisms, saying it lacks the capacity of protecting the ultimate consumer against counterfeit and pirated goods, as well as obstacle to Africa’s development. 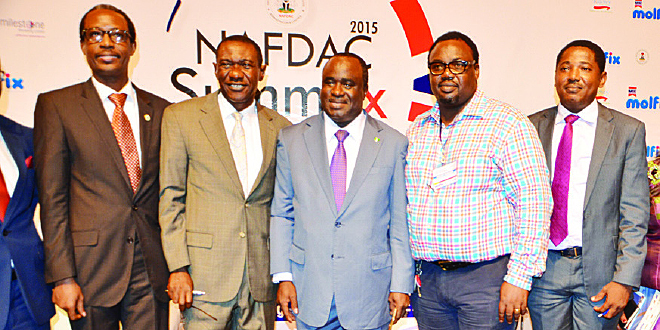 Stating this recently at the National Agency for Food and Drug Administration and Control (NAFDAC) SummEx (Summit & Exhibition), the experts linked improved Nigeria’s legal framework with progress in food security and disease control. They stressed that achieving food security and disease control, particularly malaria, tuberculosis, HIV/AIDS and reproductive health is critical to Africa’s attainment of the required socio-economic development. The experts further explained that this involve access to drugs that are safe and efficacious, and food that is wholesome and nutritious, but regretted that the country’s poor legal framework is a big setback giving rise to high index of fake and pirated goods. 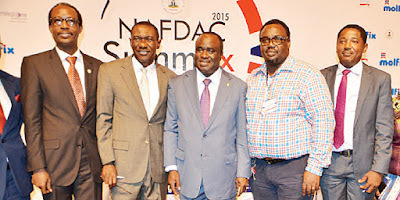 Emphasizing this in his paper titled: “Counterfeiting Legislation and Enforcement,” Dr. Paul Orhii, NAFDAC DG, said that the main task of any Food and Drug Control Authority is to ensure the purity, quality, safety and efficacy of the food and drugs made available to the public. Orhii explained that this is mainly done by making sure that the manufacture, procurement, import, export, supply and sale of food and drugs; product promotion and advertising as well as clinical trials are carried out according to specified guidelines. According to him, food and drugs imported or manufactured outside of effective regulatory frame work would pose great and immediate risks to the public. However, lamenting at this year’s SummEX which was mainly sponsored by the First City Monumental Bank (FCMB), experts said that the country’s legal framework is outdated in tackling today’s counterfeiting. Speaking, one of the presenters, a Senior Advocate of Nigeria (SAN) J.A. Badejo, explained: “This is partly because the legal regimes have the reputation of lagging behind the 21st century ICT age and obviously the laws, though quite ambitious in anti-piracy and counterfeit products or devices, remain slow or weak and inadequate. Also, speaking on behalf of Abubakar Jimoh, Director, Special Duties, NAFDAC, Christiana Obiazikwor, Chief PRO, of the agency said that the programme has been put together for direct engagement with all stakeholders under the statutory regulation of the food and drug agency. According to her, the summit and exhibition is a single platform for the agency and all her stakeholders to showcase innovations and ideas. 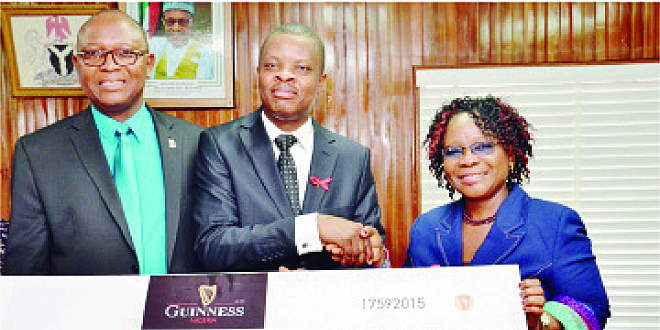 Management of the Lagos University Teaching Hospital (LUTH) has commended Guinness Nigeria over its consistent support for the Guinness Eye Centre. The commendation came during a courtesy visit by Guinness Nigeria Plc to LUTH, where the brewing company donated N5 million. Professor Christopher Bode, Chief Medical Director of LUTH, said that he was pleased with Guinness Nigeria’s involvement in sustaining the management of its eye centres for over 50 years, adding that the centre would continue to deliver excellent eye care to patients. He thanked Guinness Nigeria for the timely and auspicious donation to the Centre and expressed his desire for a continued partnership. 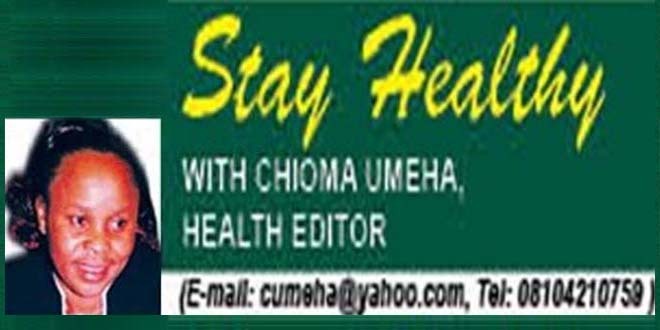 “The gem that was sown many years ago has grown into a mighty oak that has trained over 100 specialist doctors, many medical students and other sundry healthcare workers. This eye centre is a living testimony to the values that Guinness espouses as a strong Nigerian brand. They have stayed with us over the years and I can boldly say that Guinness has a veritable legacy in LUTH. 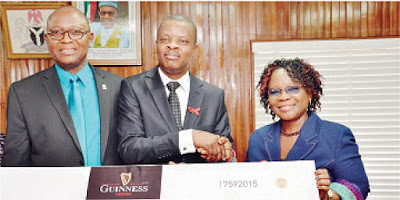 I would like to encourage other corporate bodies to follow this marker which Guinness has laid, and adopt various departments in our hospital,” Bode said. Speaking at the ceremony, Sesan Sobowale, Corporate Relations Director, Guinness Nigeria noted that the donation is in keeping with the company’s commitment to supporting the Guinness Eye Centres in sustenance of its original vision and to ensure that the facility remains the reference point in the provision of excellent eye care in Nigeria’s health sector. “Our relationship with the hospital is a long one. It is worthy to note that many years after the establishment of the LUTH Guinness Eye centre, it has continued to receive commendations from different parts of the world. At Guinness, our vision has always been to make a positive difference in society. We believe passionately that when we help Nigerians preserve their sight, we not only deliver quality eye care, but we also contribute to the socio-economic development of Nigeria,” he said. Some dignitaries present at the occasion include, Sustainable Development Manager, Guinness Nigeria, Mr. Osita Abana, Head of Department, Guinness Eye Centre, LUTH, Prof Folasade Akinsola; Professor of Ophthalmology, Guinness Eye Centre, LUTH, Prof. Adebunkola Adefulu-Ositelu; Mr. Kelechi Otunmere, Head, Corporate Services, LUTH, Drs. Aribaba, Onakoya and other consultant ophthalmologists. This story was published in Newswatch Times on December 10, 2015. Barely one month after he emerged as President of Pharmaceutical Society of Nigeria (PSN), Pharm. Ahmed Ibrahim Yakasai, has added a feather in his cap as he was appointed the Honorary Consul -General of Pakistan in Nigeria. Yakasai’s appointment was contained in a letter signed by President Asif Ali Zardari of the Islamic Republic of Pakistan. A statement made available to Newswatch Times, on Monday, said that the letter was presented to him by the Pakistan High Commissioner in Nigeria, retired Lt Gen Agha Umer Farooq, at a well-attended investiture ceremony at Meena event Centre, Nassarawa GRA Kano. Commenting on Yakasai’s new appointment, the Pakistani High commissioner in Nigeria, His Excellency Lt Gen Agha Umer Farooq, (Rtd) commended Nigeria for the cooperation his country has enjoyed in her diplomatic relationship for decades. According to him, Pakistan has enjoyed goodwill from Nigeria through capacity building, energy, science and technology, pharmaceutical, healthcare, agriculture and others. He was optimistic that Nigeria and Pakistan could achieved a lot together in the years ahead as it is about to strengthen the diplomatic ties between both countries. The example is demonstrated through diplomatic assignment it has given a Nigerian citizen, the first of its kind in the age long history of West Africa, the statement said. Gen Farooq noted that Yakasai merits the honour on the basis of his strong capacity to build bridges of understanding and co-operation to promote economic and human resource development between two communities. He further said With Yakasai’s new appointment; he is not only a Nigerian and Pakistan property, but a global figure while noting that his acceptance of the diplomatic assignment will open new opportunities to empower people from both countries. In response, Yakasai said his 15-years relationship with the Pakistan ranges from business to establishment of community hospital. According to him, this among many other selfless services to humanity culminated into his new appointment. He noted that this is a very rare honour done to Kano, Nigeria, African and the world and promised to uphold the confidence reposed in him. He noted, “This is a very rare honour done to Kano, Nigeria, African and the world,” and promised to uphold the confidence reposed in him. 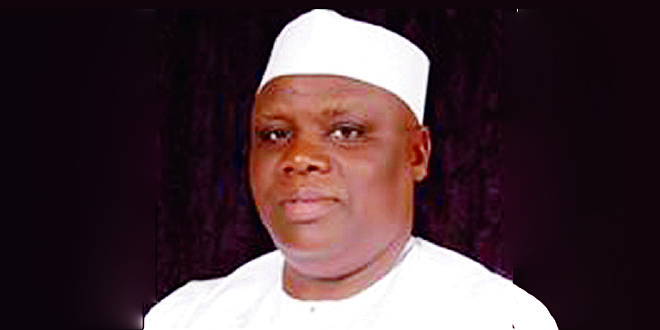 Continuing, he pledged his sustained commitment to serving humanity anywhere he finds himself, adding that he has exemplified this by abandoning a more lucrative and highly paid consultancy jobs in many organizations for a lower paid assignment of a Civil Commissioner in Kano from 2005 till 2011. The new PSN boss also said that his new diplomatic assignment as the Honorary Consul-General of Pakistan in Nigeria will not in any way disturbs the discharge of his duties as President of the society. The investiture ceremony had several eminent persons in attendance including: Kano State Governor, Dr. Abdullahi Umar Ganduje who was represented by the Deputy Governor of Kano State, Prof Hafiz Abubakar; Sardaunan Ringim; Alh. Muhammad Badaru Abubakar; former Governor of Kano State, and former Federal Minister of Education and Sardaunan Kano, Malam (Dr.) Ibrahim Shekarau and former Military Administrator of Jigawa State, Col Abubakar Zakari Maimalari (retired). According to the statement, the Emir of Kano Alhaji (Dr.) Muhammad Sanusi II which was read by the Dan Amar of Kano while thanking the government of Pakistan for the rare honour done to their illustrious son, urged him to continue in his unique service to humanity. Similarly, Governor Badaru Abubakar of Jigawa State remarked that Yakasai expressed strong confidence that Yakasai is the right choice for the position in Africa. Others are the Emir of Kano, Alh(Dr.)Mohammadu Sanusi II, represented by Dan Amar of Kano and District Head of Bebeji, Dan Adalan Kano and District Head of Tofa, Makaman Kano and District Head of Wudil; diplomatic corps from both Pakistan, Tunisia, Benin Republic among others. Fortune smiled on 17 couples who became grand winners of the Fertility Treatment Support Foundation (FTSF) during this year’s edition of the “Little Miracles,” held by FTSF with the support of Nordica Fertility Centre, in Lagos, weekend. L-R: Clinic Manager, Nordica Fertility Centre, Mrs. Tola Ajayi; winner of the free IVF screening, Mrs. Onwumah; and Managing Director of Nordica Fertility Centre, Dr. Abayomi Ajayi at the raffle draw which produced 17 winning couples, held at the Civic Centre in Lagos at the weekend. The comfy scene at the Civic Centre, Ozumba Mbadiwe, Victoria Island, Lagos was filled with excitement as the MC announced telephone numbers and names of 17 lucky winners of this year’s contest who will receive free fertility treatment, while five of them are to enjoy free In Vitro Fertilization (IVF) in addition. The Managing Director of Nordica Fertility Centre, Dr. Ajayi Abayomi, said that the exercise is geared to reduce the burden of infertility in the country, especially for indigent couples who would not normally have access to this type of health care. 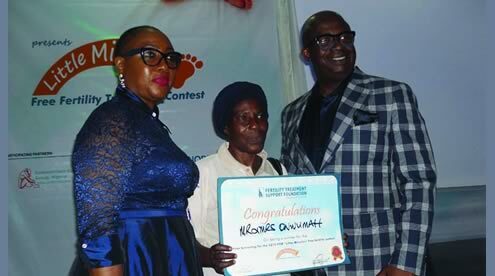 Stating this during the raffle draw event, at the Civic Centre, Abayomi added that that over the years, FTSF has delivered free fertility treatment to over 126 less privileged couples, helping them to realise their dream to have their own babies. The contest which started over a month ago, had entries of over 6,000 couples from various parts of the country, including; Abuja, Kano, Enugu, Rivers, Lagos, among others. At the end of the draw, 15 couples plus additional two chosen among the audience emerged winners. Names of the winners are: Mrs. Chukwukelu Ifeyinwa, Uju & Mike Mendu, Esther Oke, Nnaemeka, Augustine O Akpoka, Musa Hassan, Ikechukwu Esedebe, Omoregbe, Onyibe, Agbo, Golleng David, Festus Udoh, Obinna Emezi, Arikawe and Ajayi. According to him, the idea was to create awareness and educate Nigerians on the importance of IVF, apart from assisting indigent couples who have infertility issues, adding that, the beneficiaries would not have to worry about paying for any treatment as the complete cycle would be the responsibility of the foundation. On how the five couples would be selected out of the lucky 17 that won the contest, he said it would be based purely on medical consideration, as those without complications would be given the slots first. Continuing, he said one of the major issues still affecting the treatment of IVF in Nigeria was the lack of forums to discuss, adding that the foundation was also set up to address that challenge as well as train and educate doctors, media and the general public on IVF. “We also want people who have successfully gone through IVF to come out and share their stories. Other couples suffering in silence need to hear these stories so that they can be motivated to seek treatment,” he added. 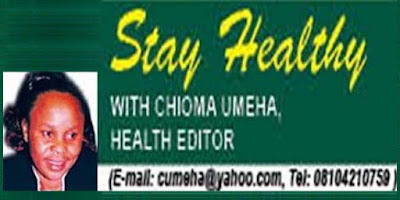 On his part, the Health Editor, Vanguard Newspaper, Mr. Sola Ogundipe, said a lot of couples were going through the agony of infertility but that the challenge of majority of them was financing of the treatment. “Any time I write about the issue, about 99 per cent of the calls I receive always bother on cost of treatment. Most people are not accessing it because of the financial implication,” he noted. He however said that affected couples need not have deep pockets before they can say they are ready, stressing that prioritising the treatment would make them save towards it. He believes this on the long run would make IVF more affordable as it would demystify the treatment. Also speaking at the occasion, the officer in charge of Access Bank’s Maternal Health Service Scheme, Mr. Ejike Izejiobi, said the bank has identified financing as the major challenge preventing couples from accessing IVF treatment, hence they decided to put up deliberate initiatives to address it. “The scheme, which generally targets the health of women, is also aimed at providing loans to couples needing IVF treatments. We can give as high as N4 million, as well as finance a maximum of three different cycles,” adding that accessing the loan was not cumbersome. “All we need to know is that you can pay back so that another couple can benefit from the gesture,” he said. Omoz Evborokhai, the President Fertility Awareness Advocate Initiative (FAAI); during a question and answer session enjoined everyone to spread the word of hope to couples who are going through challenge of infertility.